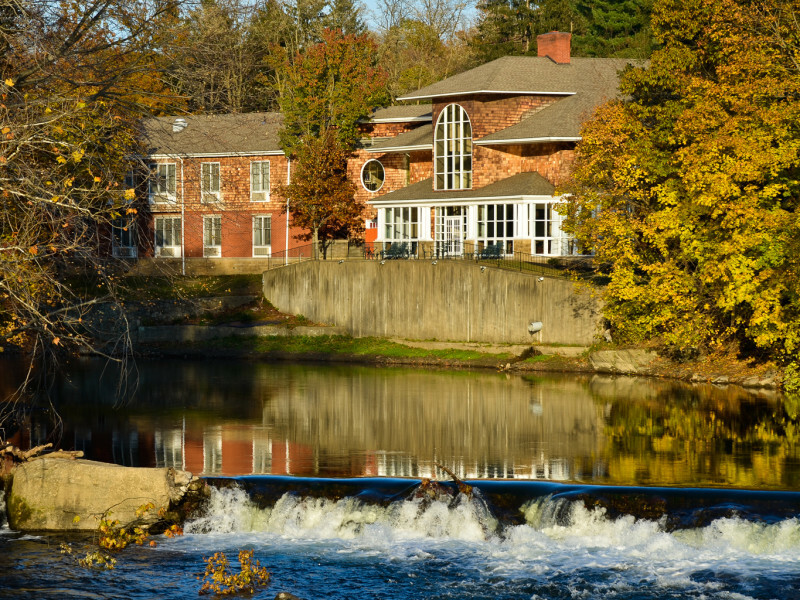 Overlooking a scenic waterfall on the banks of Wappinger Creek, this 40-room hotel includes eight modern suites with jacuzzi tubs. Convenient in-room amenities include a fridge, microwave, HDTV, and free WIFI. A complimentary full hot breakfast is included with your stay. Guests are welcomed at the nightly Manager's Reception with two glasses of beer or wine. This 100% nonsmoking property also offers a state-of-the-art fitness center and 24-hour business center. Banquet room, corporate rates, group welcome, pet-friendly. Located within ten minutes of Vassar College, the Locust Grove Estate, Hudson Valley Regional Airport, and Sprout Creek Farm.